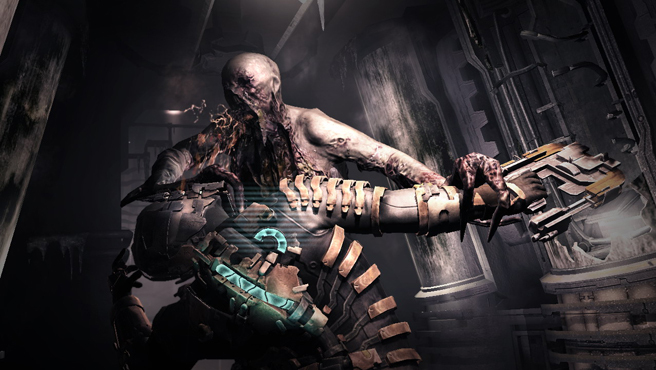 Dead Space 2 has been released in the past few days to significant critical acclaim and is expected to be one of the big sellers this month. But the more I see of their marketing campaign the more I hope that it fails. You can watch it if you want, but basically the gist is that they get a bunch of real mums (apparently) to watch a full length trailer of Dead Space 2 under the guise of market research and then record their response. Unsurprisingly the mums are horrified and upset just as much as if you’d got them to sit through Saw 27 or the Human Millipede! This is a game where the key weapon is an engineering cutting laser – so most of the time you are dismembering a variety of aliens and “infected” humans. It’s gross and that’s OK, but no-one is ever going to expect your mum to like it. I think they’ve got this very wrong indeed. 2) Rebellion against your mum is just part of a bigger rebellion at that age, what will happen when these teenagers realise that they are just being manipulated by a much bigger institution – won’t they reject having their motivations being dissected in this way? 3) We all now know that the majority of core gamers (ones who buy this sort of game) are now in their 20s and even 30s. Are those kinds of men still really trying to get a reaction of disapproval from their parents? Aren’t they in fact trying to hide the fact from their girlfriend or wife that they enjoy such childish pursuits? 4) Does anyone else feel uncomfortable about subjecting a perfectly nice group of mums to a series of what (in their minds) can only be described as offensive images and upsetting them in the process? It’s unneccesary and childish and I’m just glad that my mum wasn’t subjected to it. It’s clear where this campaign originated – the marketing team at EA will have looked at the commercial success of some of the most controversial games (including the obvious GTA series) and have decided that the negative publicity in the likes of the Daily Mail was a big driver of that success. And they are probably right. The problem is, you can’t fake that sort of reactionary disapproval, and if you try, you’re trying too hard. The Daily Mail don’t want to sell more games for you, so as soon as they realise that you are seeking their disapproval in order to create more hype around your product they will just stop talking about you at all and you’ll end up paying people to talk about how shocking your game is rather than getting them to do it for free. The fact is this game should do really well anyway, and word of mouth will grow around the true quality of the gameplay experience, not some marketing hype. I can’t help but feel that this is a case of a creative agency trying too hard to create a role for themselves when all that was needed is a good trailer and demo. UPDATE: I’ve just watched a few more of the films of different mums and the more I see, the more I feel that this whole campaign was just mean spirited. These were perfectly good natured mums who have been scared and upset for the amusement of some creative agency execs. I really don’t approve and I hope it doesn’t work.